This page contains links to useful information regarding the GAA. 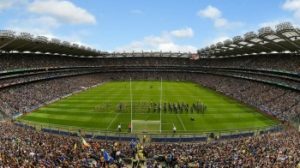 This page contains information about the 6 different games that make up the family of Gaelic Games. These are Gaelic Football, Hurling, Handball, Rounders, Camogie and Ladies Football. This page contains an article detailing how the GAA ensures the safest possible environment for all young people who participate in Gaelic Games. It outlines the steps and procedures clubs should follow to protect their young members. Club Ellistown is the hassle free way to donate vital funds to our club via standing order with the added bonus of being automatically entered into the club’s weekly lotto. Your donation will make a vital contribution to the development of our club.